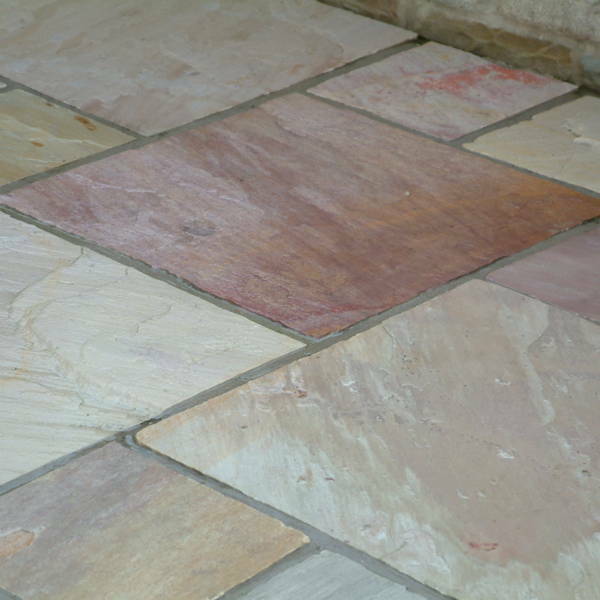 Raveena natural sandstone is a mix of purplish colours, set against a pale, grey and buff background. It is very striking, with natural variations of quarried stone. This stone cannot be replicated through man made stone. The variations are varied and bold and it offers something very special. 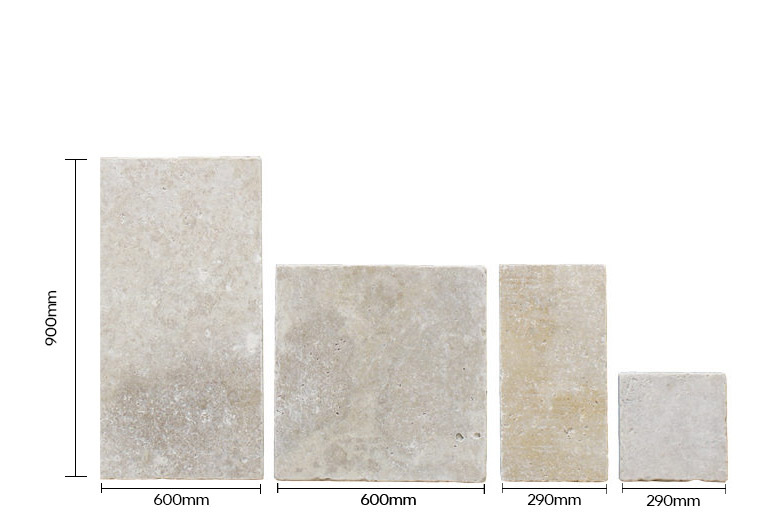 All of our Raveena Sandstone has hand cut edges and a riven finish. However as you can see below, on a pre-order, it is also available in many other finishes such as shot blasted and sawn. Raveena is available in three single sizes. 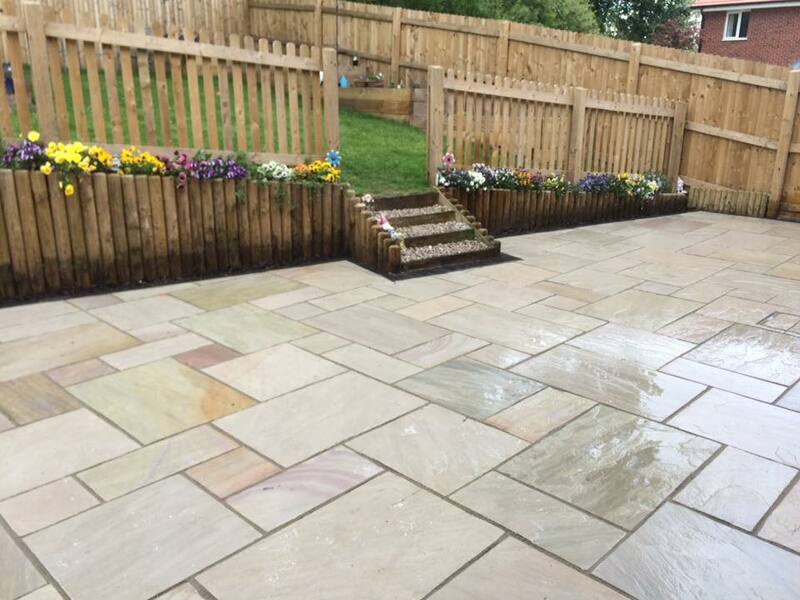 Perfect for that contemporary yet slightly rustic look, our Raveena natural sandstone is a mix of purplish colours set against a pale, grey and buff background. 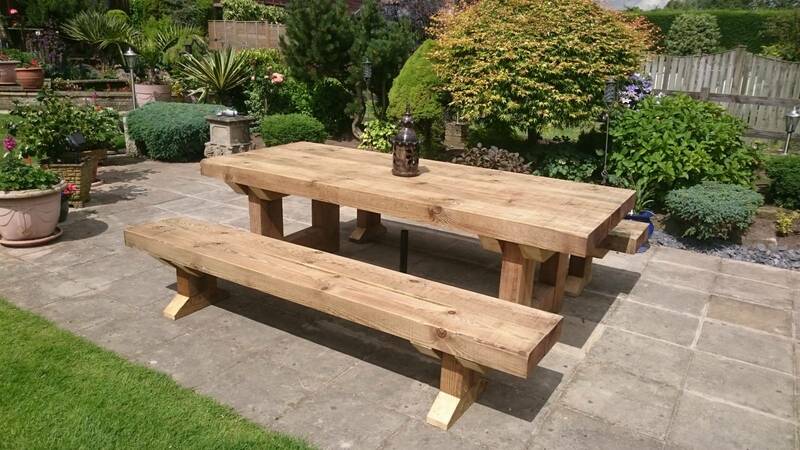 Not only is it extremely striking with natural variations of quarried stone, it’s versatile enough for use on patios, walkways, outdoor dining areas or any other purpose you can think of. 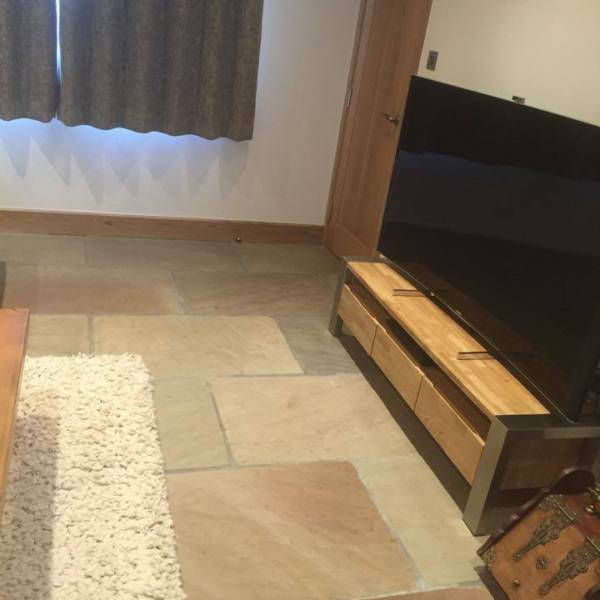 Natural and unique with a lightly riven finish, this stone cannot be replicated. The variations are wide ranging and bold which offers something particularly special and unique. Not only that, but Raveena sandstone is hard-wearing and easy to maintain too. Its non-slip quality also makes it ideal for steps or stepping stones. 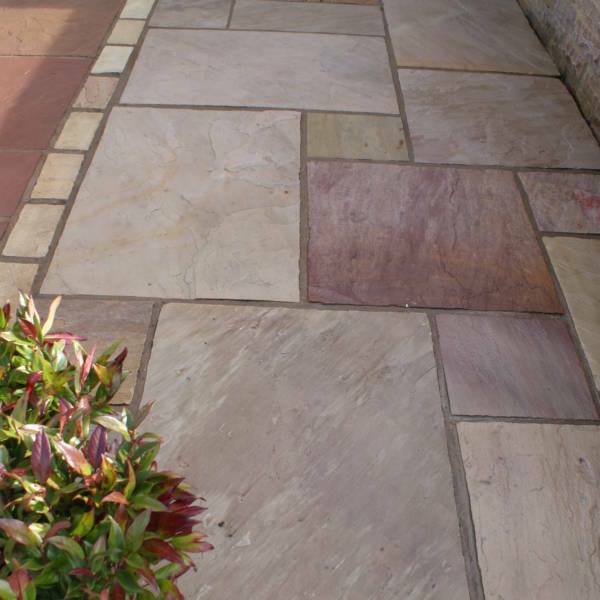 All of our Raveena Sandstone boasts hand cut edges and a stunning natural finish. 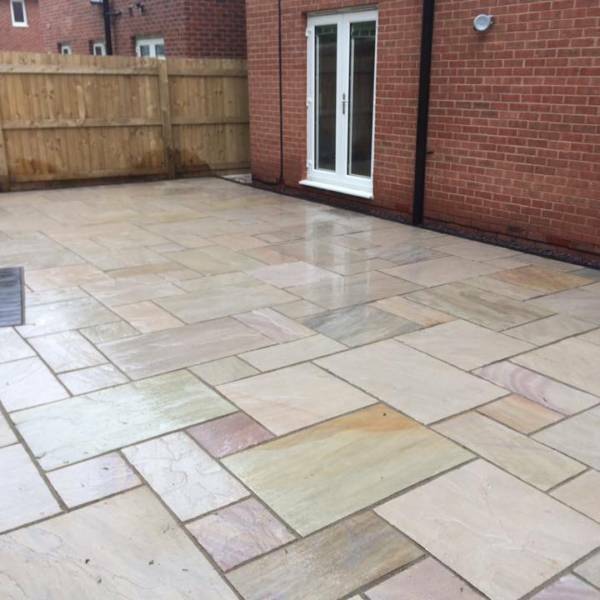 Due to its beautifully neutral colour, it’s ideal for mixing and matching with other sandstone designs for a totally bespoke look. It’s also available in many other finishes which are available on a pre-order basis, including shot blasted and sawn. 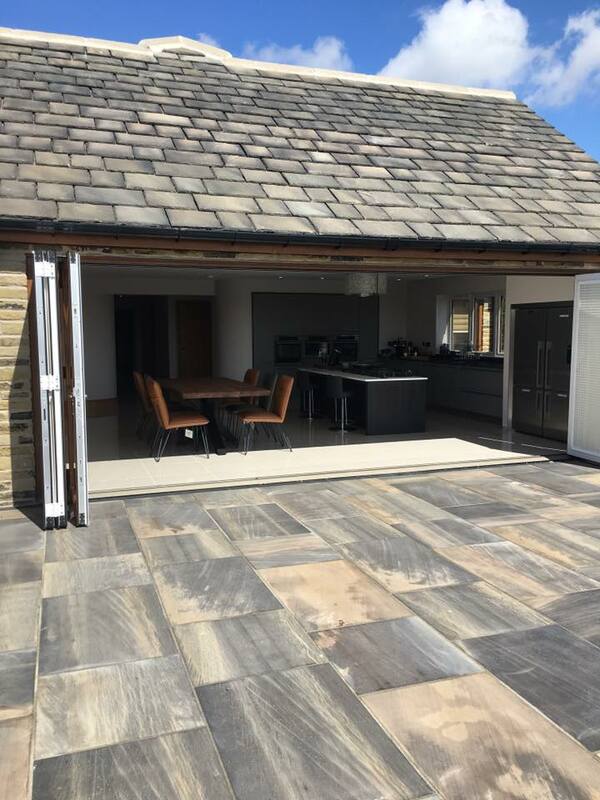 Whether you’re starting a brand new project from scratch or you’re looking to replace some old worn out paving that’s past its best, at RF Paving we are pleased to offer our Raveena paving in three different single sizes. It’s also available in our ever-popular RF7 Project Pack which offers a mixed pack of flags for laying random designs. So whatever you have in mind, you can create the exact look you’ve been dreaming of for your outdoor living space. 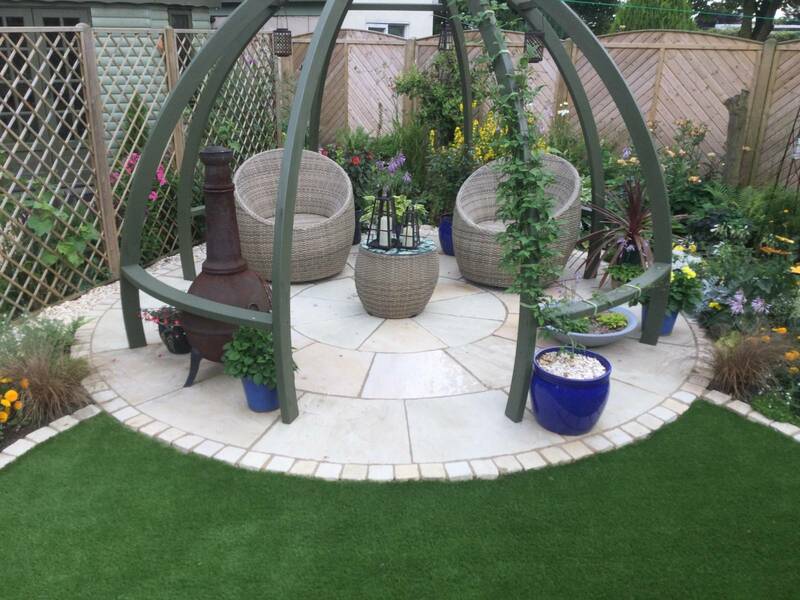 If you just can’t decide then why not take a look at our full range of sandstone paving on offer; you’re bound to find something to suit. For an expert quote or to ask any questions, simply get in touch using our contact us page, or call us on 01977 782240. We’re here to help.